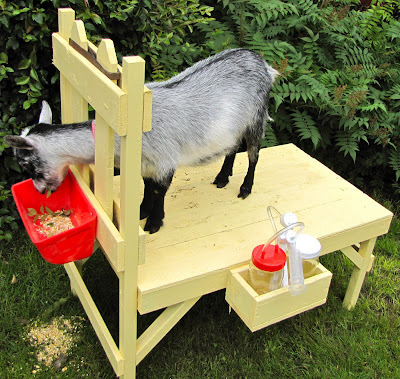 The Henry Milker: Does Your Goat Milk Taste Like Your Goat? Acceptable milk odor and taste is probably the single most important standard of goat milk. Goat milk has a widespread negative perception of being "goaty." In fact, the national U.S. dairy products judging procedures list "goaty" as one of the four odor characteristics of bad versus good milk. Goaty odor does not need to happen. 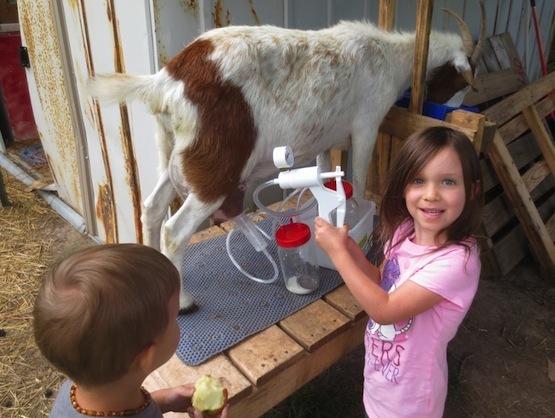 Goat milking needs to be done with care; if you use a milking machine or if you do the milking by hand. Well produced and well handled goat milk should be indistinguishable in taste and odor from quality cow milk. One of the Henry Milker customers is very happy with the quality of milk from her goat. 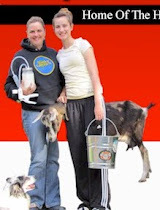 She recently wrote: "I am milking a large Saanen goat who gives a little over 2 quarts each milking. I have purchased 2-quart mason jars that work very well. I use a milk stand, and I pack my jar inside a container filled with ice and that is in a bucket with a handle for convenience. I go out with the milker attached and tucked inside the bucket of ice. The thing that really makes the Henry Milker invaluable to me are 1) cleanliness of the milk, and 2) no more hand stress. Honestly, I can milk my goat faster by hand, but using the milker makes our milk taste Sooooo much better. I sell the milk locally and one lady who has purchased milk before was shocked to find that our milk had no "goat" smell or taste. Due in part to the milker, and secondly to the ice packed around the milk. Plus I clean the teats with baby wipes every time. Anyway, we are very happy with the Henry Milker." Us too. People are shocked that it doesn't smell or taste goaty. And my wifes lactose issues are nearly non existant with our goats milk. Same here! I love to shock people & say, "That was goat milk." Folks are amazed.. no smell, no funky goaty taste. Love my Henry Milker! I just bought some raw goat milk and am having a hard time getting past the Goaty flavor. It is nice to know that is not how goat milk realy tastes. Among goat farmers its pretty much known that the goaty taste usually comes from contamination of the milk and not cleaning whatever is used to milk the goat, thoroughly - EACH TIME. Immediately rinse out everything, especially the tubing, right away, with tepid water. After cleaning thoroughly in hot water and rinsing - I use 35% H202 (from Guardian of Eden on the web) diluted 1c H202 to one gallon distilled water. I pour some in a condiment squeeze bottle and then pour it through the tubing, the syringe and the cap. The only time I get goaty milk is when I get in a hurry and don't do this a couple days running. IMO there are three facets to preventing goaty milk (possibly four)assuming there is no obvious reason like mastitis: cleanliness, age of milk (storage time and temp), diet and possibly breed (though I am pretty convinced this actually belongs in with "diet", the theory being that some breeds have higher needs for cetrain nitritional things). In that order. If I hear someone has goaty milk I recommend stepping up sanitation and making sure to keep milk stored in the coldest part of the fridge (and to always drink your freshest milk if that is an issue and use the rest for cooking/cheesemaking/crafting). I was dealing with goaty flavour with my Togg does and it was recommended I supplement to increase b12 and sure enough the goaty flavour was gone within 3 days of changing their diet to supply more of the b vitamins. I don't doubt that sometimes you may rarely get a goat with unresolvable poorly flavoured milk, but I would be willing to bet that 99% of all goaty milk could be resolved by sanitation, proper storage and dialling in on the diet. So far we used most * of it for milk (drinking, coffee, cereal etc), yogurt or paneer (Saag Paneer being a favorite meal, plus a curry or two every week). When I bought the goats I did so for French style goat cheese and yogurt. *OK fine. We've used GALLONS for fudge but I'm trying HARD to kick that habit! Try adding Lactic Acid to your milk before adding rennet. 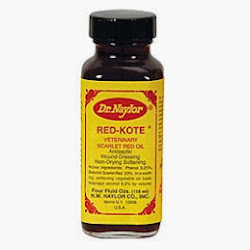 About 1/2 tsp to 2 gallons. Gives a wonderful flavor to the cheese. I quick chill till the milk gets frozen crystals that's how I take the smell and taste out of goats milk. Been doing this for over 40 years. You guys need to come into Greenville SC area and kick some you know what. There's a farmer here who has won all sorts of international awards & their milk is RANK. I bought my first container of goat milk ever from a health food store that carries their products. After four days I called the farm about significant sized yellowish brown chunks stuck to the bottom and she asked if I shook it up. I said sometimes I did. Er.... if I would've been able to think fast I would've said,"So the yellow brown chunks should be consumed???.... I shook the 2nd half gallon I bought, poured a glass and almost threw up when I tasted it. Yes, shaking it up made it taste like a toilet. That worked really well. I should've known better than to trust that yahoo. This was my first taste of goat milk even though I worked in a health food store for years. The people who run this dairy think their you know what doesn't stink because they've won all these awards. A friend of mine told them she couldn't drink their milk because of the goat taste & they had the nerve to tell her she was the first person to complain! YEAH, RIGHT!! I guess I was only the 2nd person to ever complain! It's a real shame because even people I talk to people in the health food industry who perpetuate this myth that goat milk has to be goaty! It's a real shame. There is a HUGE need for this information to get OUT. You guys should be doing classes at your local big health food stores, garden centers or wherever goat people hang out. People need to know this - especially people in the health food industry who should know better!! Many of my Henry Milker customers pack the quart jars with ice before milking. As the quart jars fill with fresh milk it is quickly chilled. My customers claim this to be of the reasons for their delicious goat milk. I milk by hand but milk into a filter with two stainless steel buckets, one that catches the filtered milk and the other that holds ice water around the bucket that holds the milk. I have found this THE best way to keep the milk delicious and free from any goaty taste. I'm sure that the milker would do nicely though, since no debris would get into the milk as long as you ice the jar. The ONLY time we get "goaty" milk is if hooves are not trimmed, I trim hooves, the flavor goes away.